Win Milton Keynes Model Railway Exhibition 50th Anniversary Tickets - 16 and 17 February 2019. This competition is operated by London Northwestern Railway. A brand of West Midlands Trains Limited with offices registered at: 2nd Floor, St Andrews House, St Andrews Street, London, EC4A 3AG​. Acceptance of these terms and conditions is a condition of entry to the competition. By submitting a competition entry, you are agreeing to be bound by these terms and conditions. The competition runs from 16:00 on 6 February 2019 to 23:59 on 12 February 2019. All competition entries must be received by London Northwestern Railway by no later than 23:59 on 12 February 2019. All competition entries received after that time will not be accepted. To enter you must comment and like on the Facebook competition post. Only one entry per person. Winner will be chosen at random. Duplicate entries will not be counted. The competition is open to residents in the UK aged 18 years or over, except employees of Abellio Transport Holdings (the UK parent company of West Midlands Trains and its subsidiary businesses), their families, agents or any third party directly associated with administration of the competition. By entering the competition, you confirm that you are eligible to do so and eligible to claim the prize. London Northwestern Railway may require you to provide proof of your identity and that you are eligible to enter the competition – you agree to cooperate with such inquiries. London Northwestern Railway reserves all rights to disqualify you if your conduct is contrary to the spirit or intention of the competition or if (in London Northwestern Railway's opinion) you are in breach of these terms and conditions. London Northwestern Railway reserves the right to contact the relevant authorities to report any inappropriate content you submit in connection with the competition or otherwise. The winners will be notified via Facebook Messenger before 13 February 2019. The winners must claim their prize by providing their details within three days of the Promoter sending notification. If the prizes are unclaimed after this time, they will lapse, and the Promoter reserves the right to offer the unclaimed prize(s) to a substitute winner selected in accordance with these rules. The decision of London Northwestern Railway is final, and no correspondence or discussion will be entered. 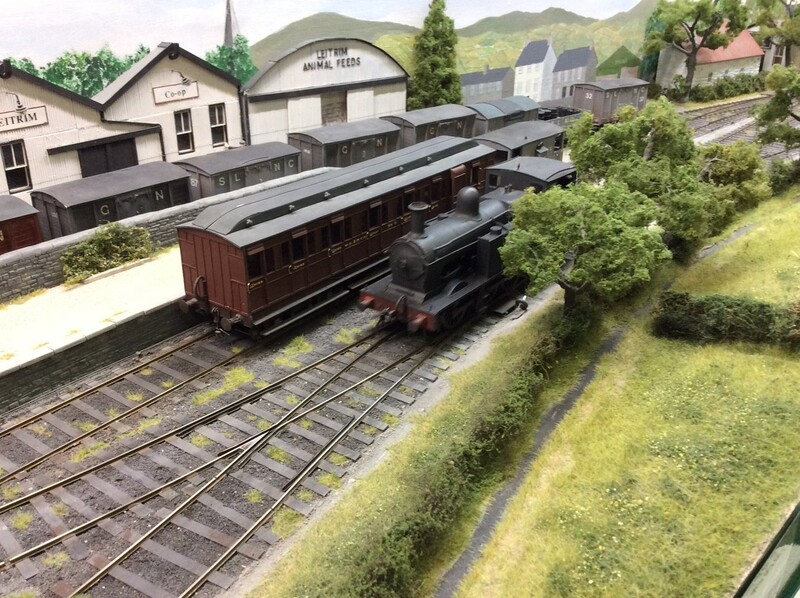 The prizes for the winners are family ticket (five tickets) to Milton Keynes Model Railway Exhibition and two sets of Family Travel Cards (five passes) two day return train tickets valid on London Northwestern Railway services only. Return tickets in the form of scratch cards valid until 31 December 2019. Scratch cards are single day use. The prizes are non-transferrable, and no cash alternative will be offered. In the event of unforeseen circumstances, the Promoter reserves the right (a) to substitute an alternative prize of equivalent or greater value and (b) in exceptional circumstances to amend or foreclose the promotion without notice. No correspondence will be entered into. London Northwestern Railway offers the prizes in association with various partner providers. Such partners have their own terms and conditions which apply to the prizes. London Northwestern Railway will confirm to the winners by email OR by post details of how to book the partner prizes. London Northwestern Railway is not responsible for any loss, claim or expense arising from a partner offer. When the prizes are tickets provided by London Northwestern Railway, London Northwestern Railway is not responsible for any loss, claim or expense arising from travel. All travel tickets are offered under the National Rail Conditions of Carriage. To obtain details of the winners please email [email protected] stating the name of the competition in the subject heading four weeks after the closing date. Once the winners haves been contacted and have accepted the prizes, London Northwestern Railway will enter correspondence with the winners to arrange collection or delivery of the tickets. London Northwestern Railway does not accept any responsibility if you are not able to take up the prizes. After a period of three months, London Northwestern Railway will be entitled to select another winner(s) at random. Insofar as is permitted by law, London Northwestern, its agents and distributors will not in any circumstances be responsible or liable to compensate the winners or accept any liability for any loss, damage, personal injury or death occurring as a result of taking up the prizes except where it is caused by the negligence of London Northwestern Railway, its agents and/or distributors or that of their employees. Your statutory rights are not affected. All competition entries and any accompanying material submitted to London Northwestern Railway will become the property of London Northwestern Railway on receipt and will not be returned. Photos submitted as part of social competitions may be used in marketing collateral such as emails, on our website or on our social media channels. You agree that London Northwestern Railway may make your entry and accompanying materials available on its website www.londonnorthwestern.co.uk and any other social media platform in connection with any publicity of the competition. You agree to grant London Northwestern Railway a non-exclusive, worldwide, irrevocable license, for the full period of any intellectual property rights, in the competition entry and any accompanying materials, to use, display, publish, transmit, copy, edit, alter, store, re-format and sub-licence the competition entry and any accompanying materials for such purposes. In accordance with the Advertising Standards Agency guidelines, London Northwestern Railway are required to publish the name and county of residence of the winner. By entering the competition, you consent to the publication of this information. If there is any reason to believe that there has been a breach of these terms and conditions London Northwestern Railway may, at its sole discretion, exclude you from participating in the competition, to withdraw the prize(s) or to require you to return the prize(s) if already received. London Northwestern Railway reserves the right to hold void, suspend, cancel, or amend the competition. If a provision of these terms and conditions is or becomes invalid or unenforceable, that part shall not affect the validity of the other provisions in these terms and conditions and shall be severed from those provisions. These terms and conditions shall be governed by English law, and you submit to the exclusive jurisdiction of the courts of England and Wales.